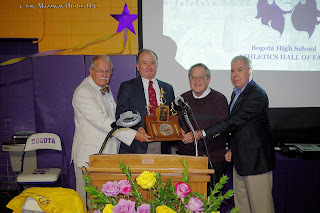 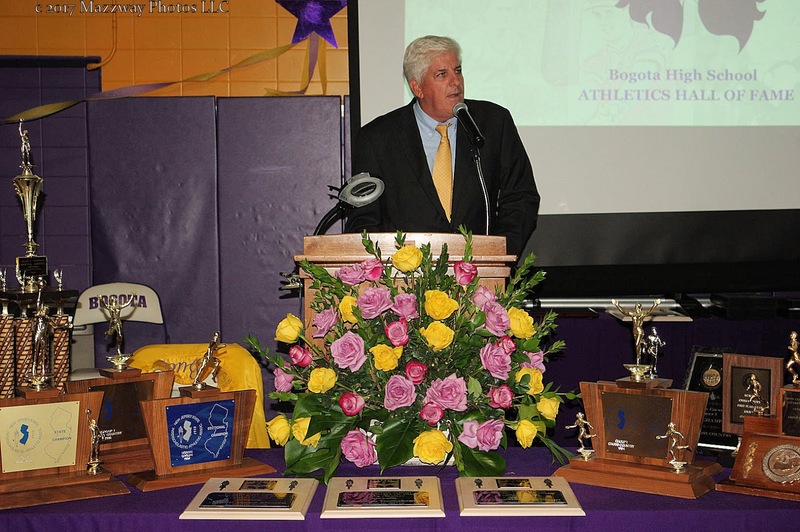 On Friday-16-June the reborn Bogota Athletic Hall of Fame held its Induction Ceremony and Dinner in Speary Gym. 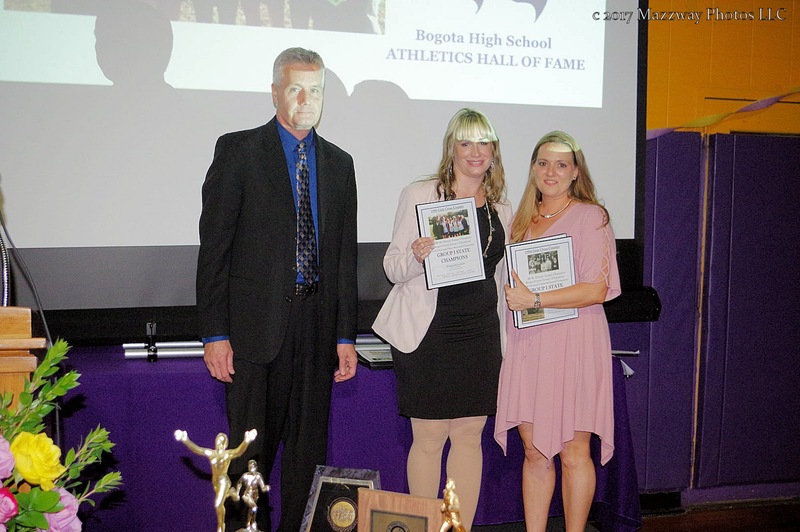 After a 16 years absence the Bogota Athletic Hall of Fame came back to life with the goal to honour those Athletes from the rich history of Bogota Sport. 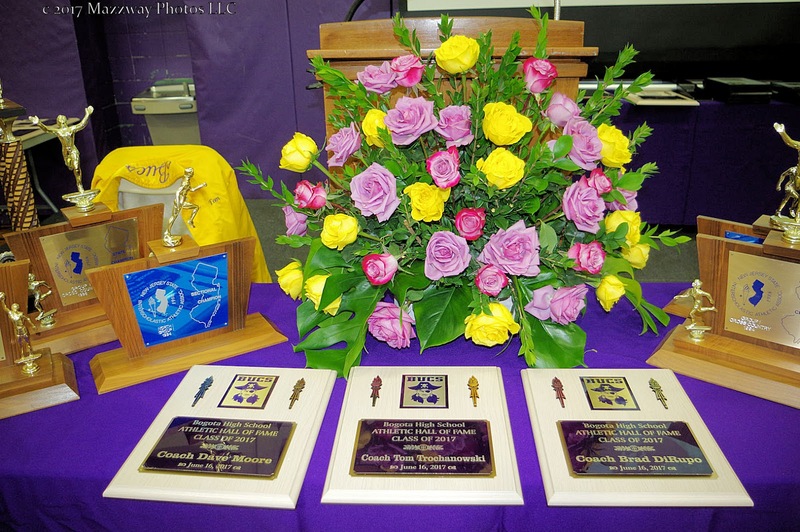 Even before entering the dinner area visitors were able to see the effort by this years Hall of Fame committee. 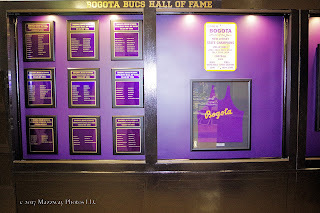 The display case for the Hall of Fame members was completely renovated. 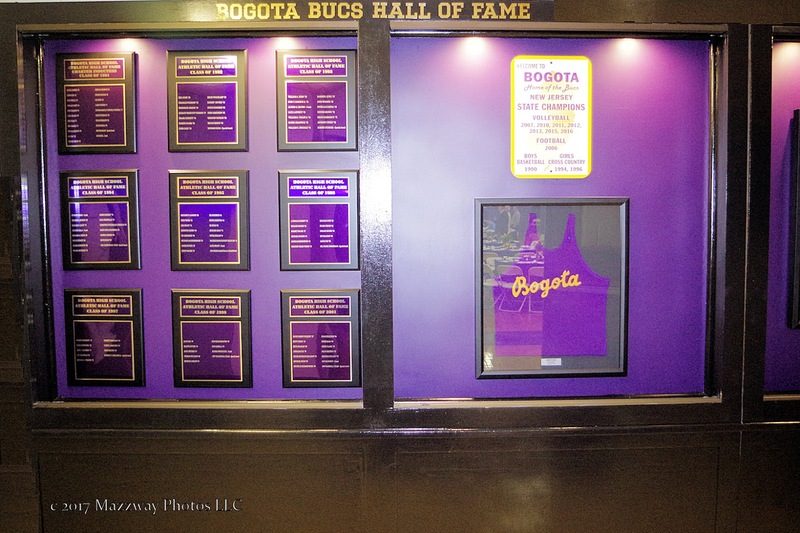 New plaques listing the names of the current members have been added under brighter lighting. 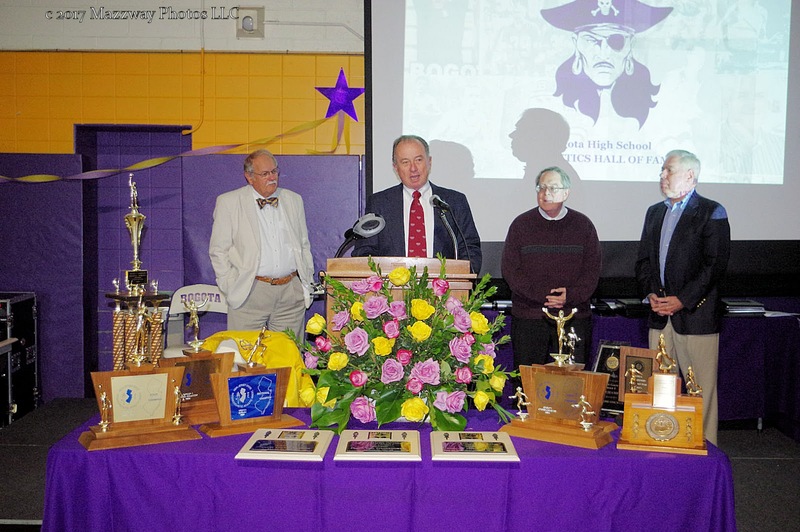 Several original Bucs uniform donated from John Finelli, Class of 39, have been preserved for posterity. 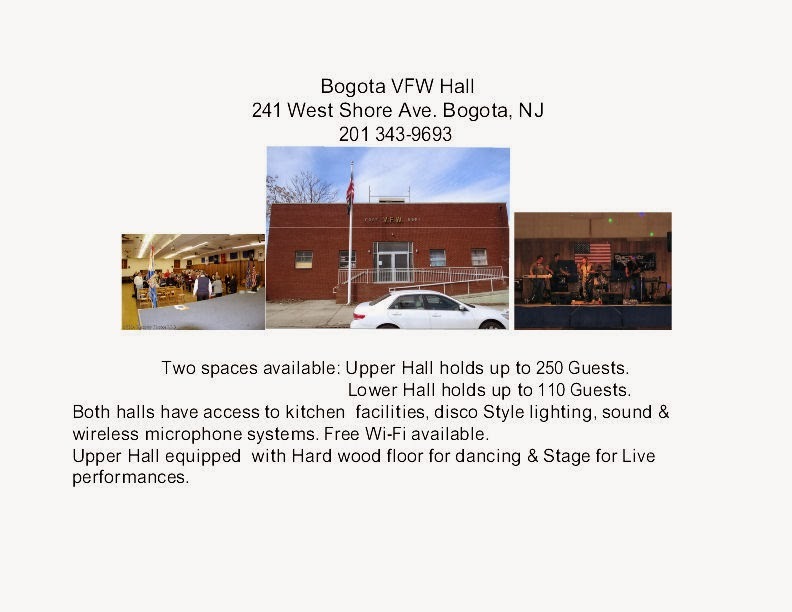 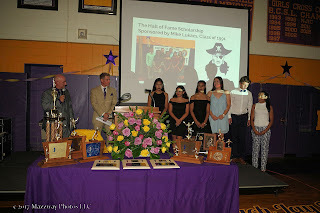 This show of unity for Bogota High School was emphasized by the Hostess, & Host for the attendees were members of this years Class of 2017 welcoming former Buccaneers, and their Families back home. 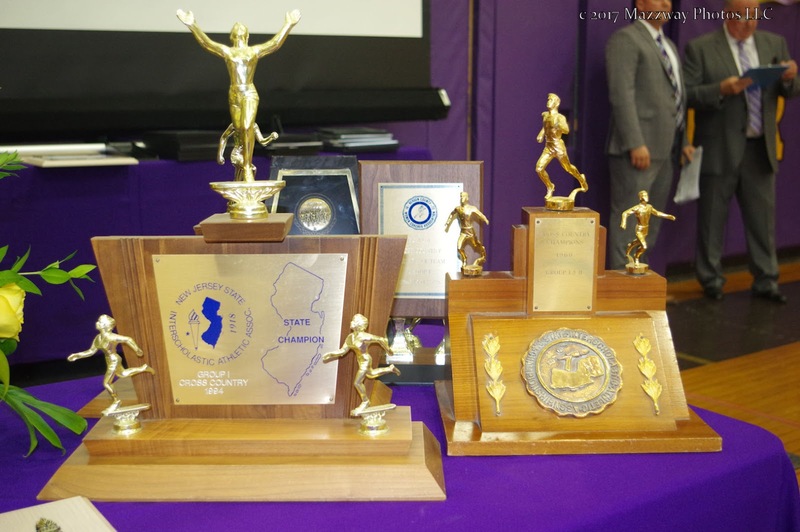 -The 1960 Men's Group II Bergen County Cross Country Champions. 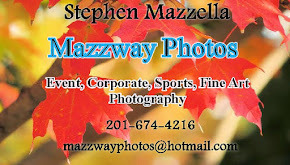 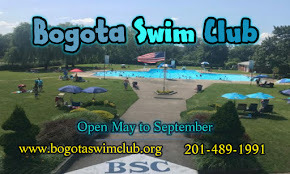 -The 1990 Men's Group I NJ State and Bergen County Champions. 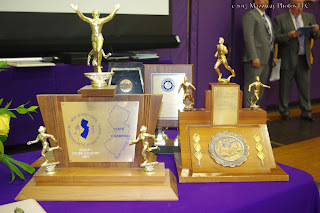 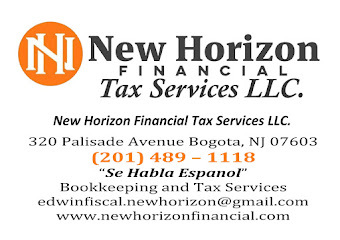 -The 1994 Women's Group I NJ State and Bergen County Champions. 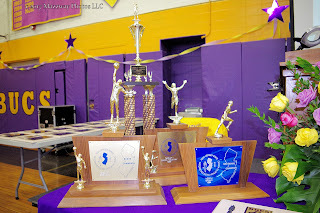 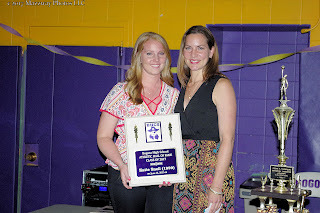 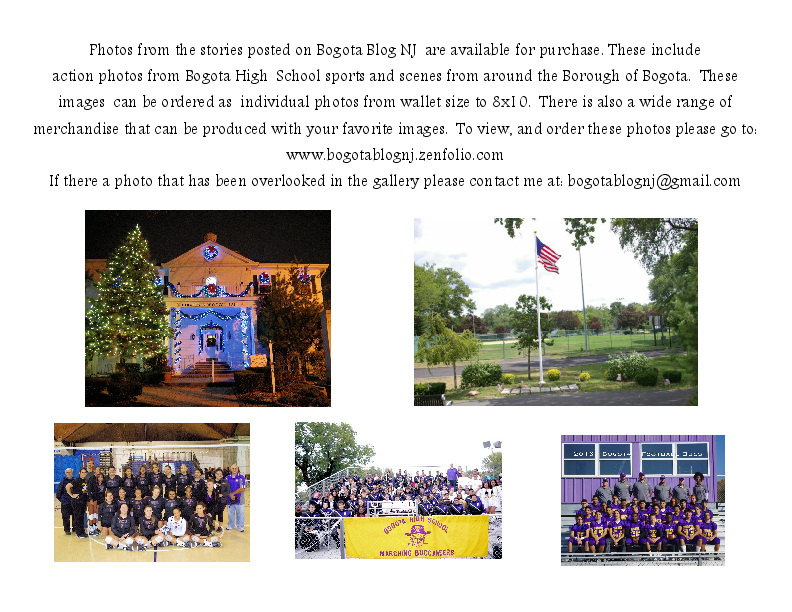 -The 1996 Women's Group I NJ State and Bergen County Champions. 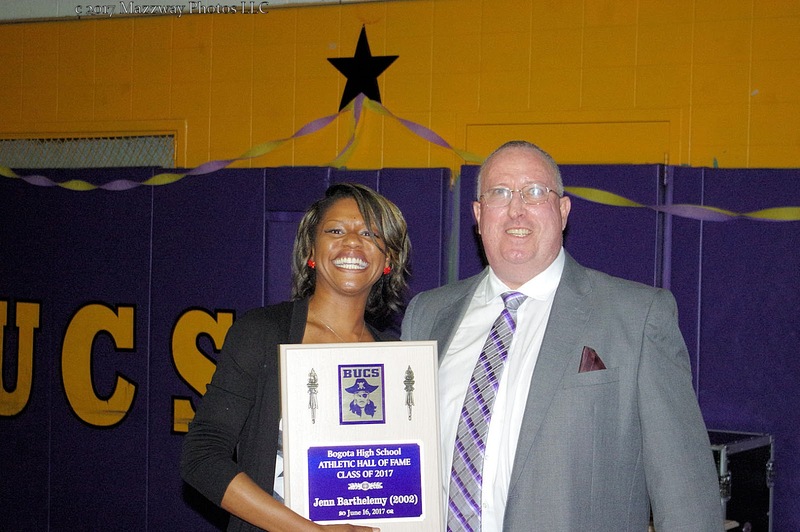 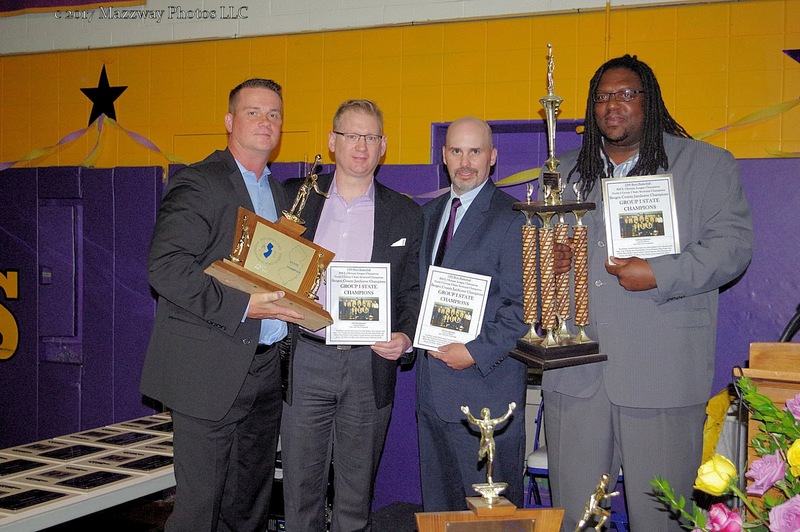 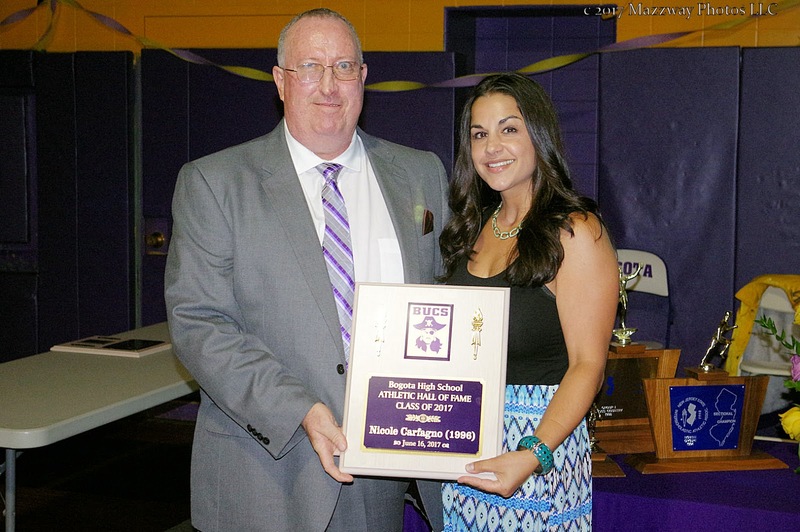 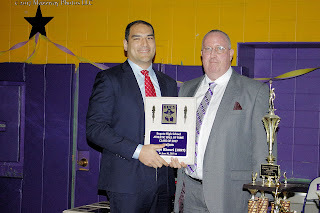 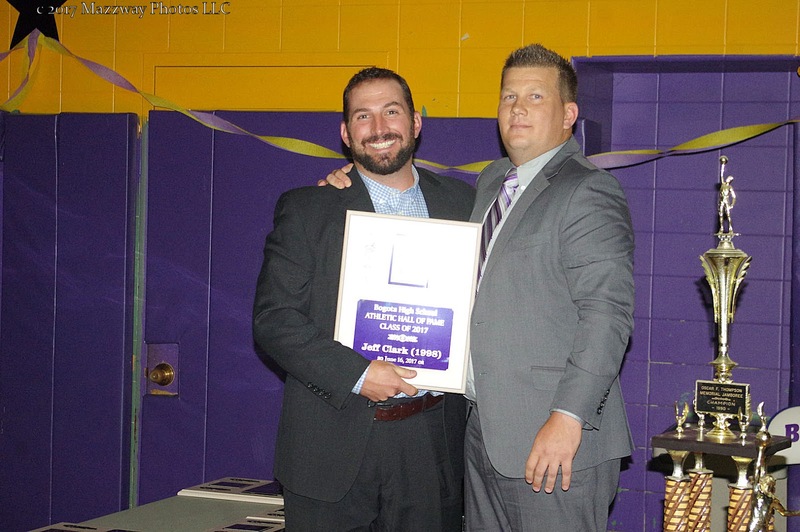 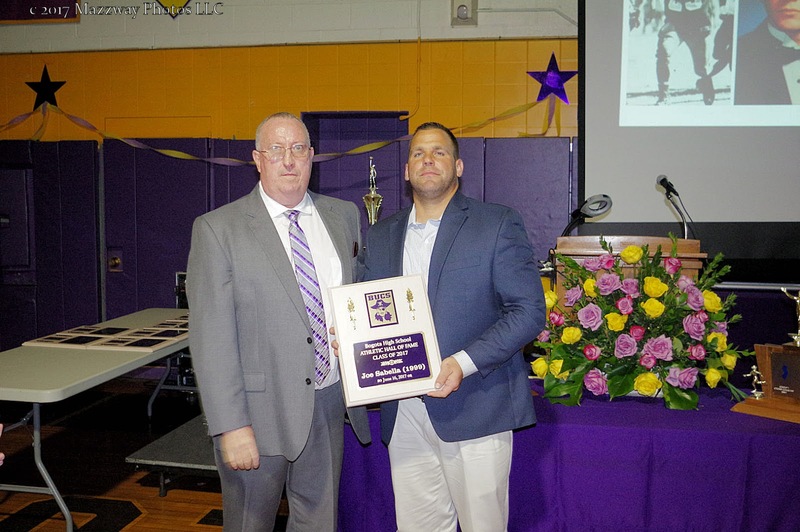 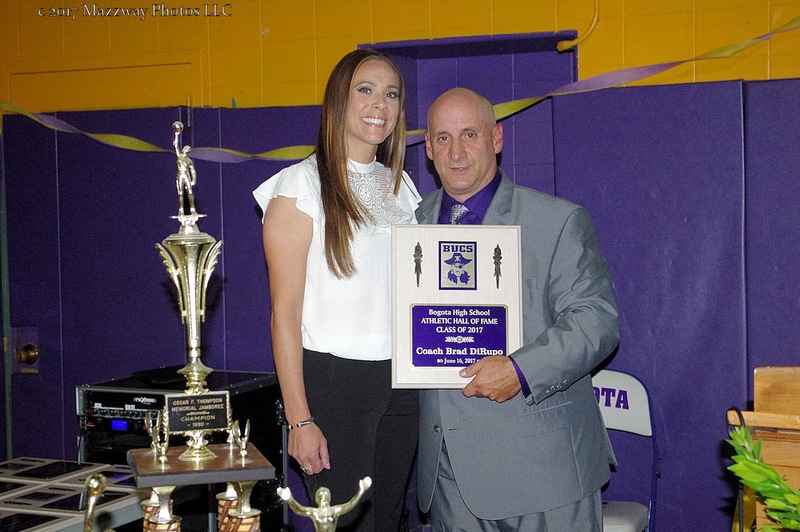 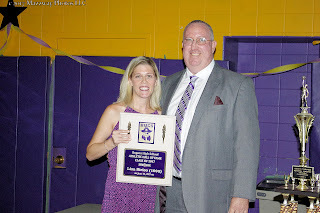 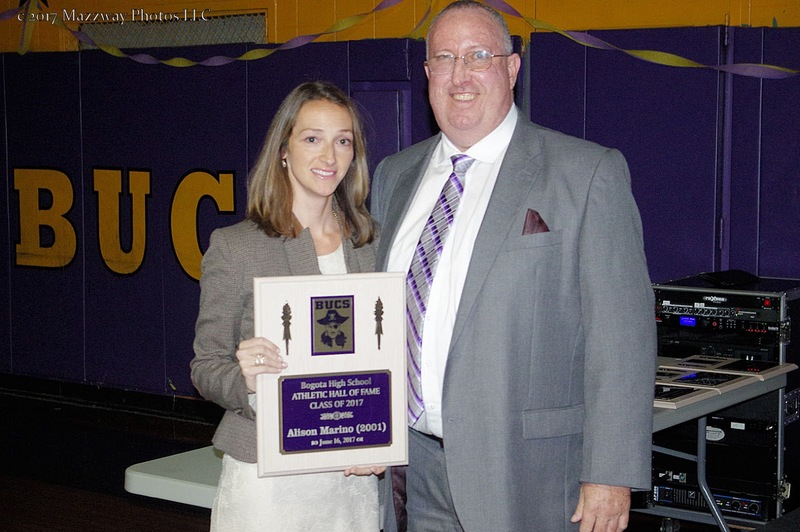 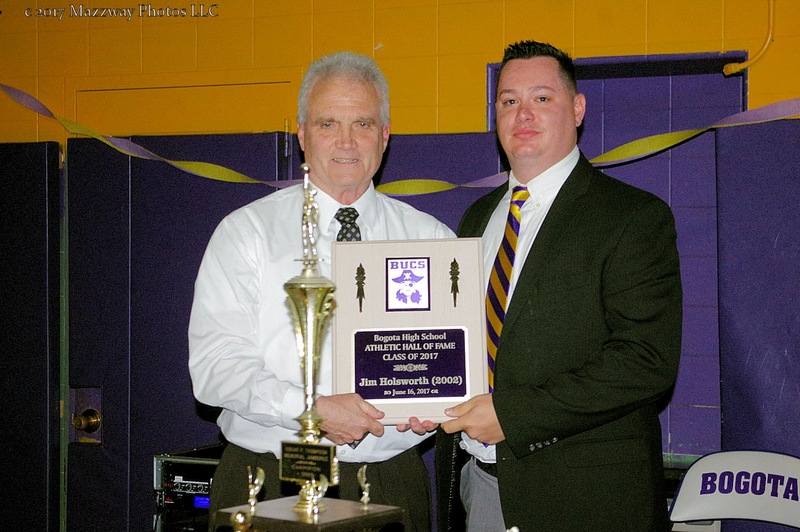 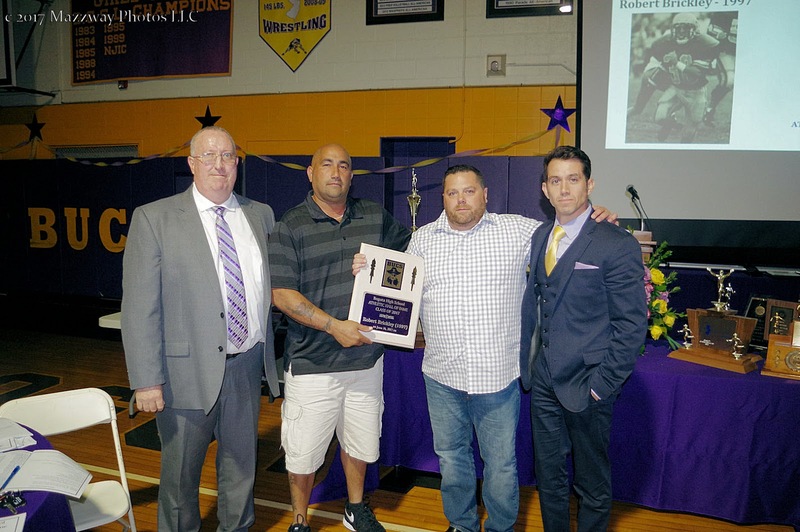 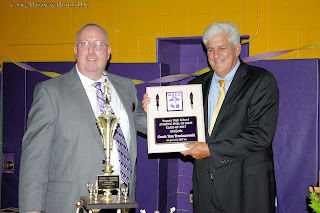 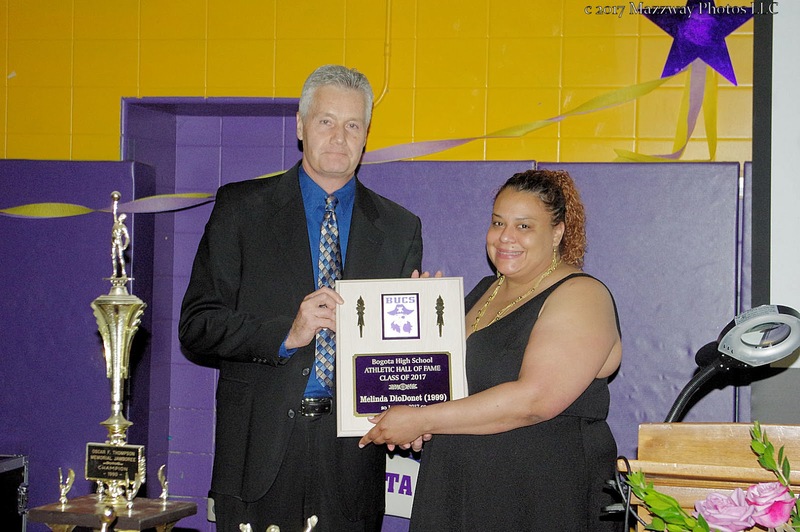 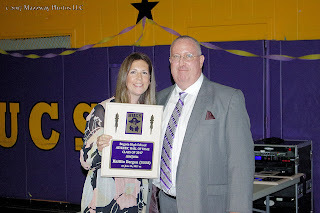 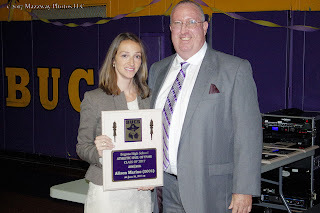 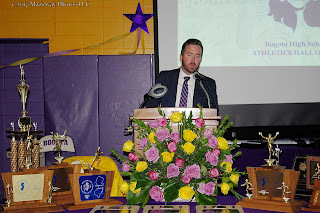 To begin the dinner Bogota Mayor Chris Kelemen presented High Principal Damien Kennedy with two plaques commemorating the new Hall of Fame, also to be put on display in the new trophy case. 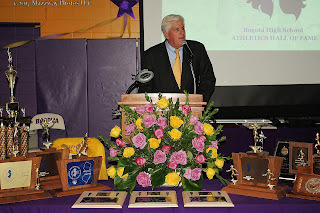 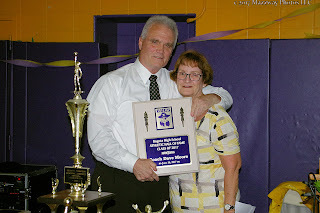 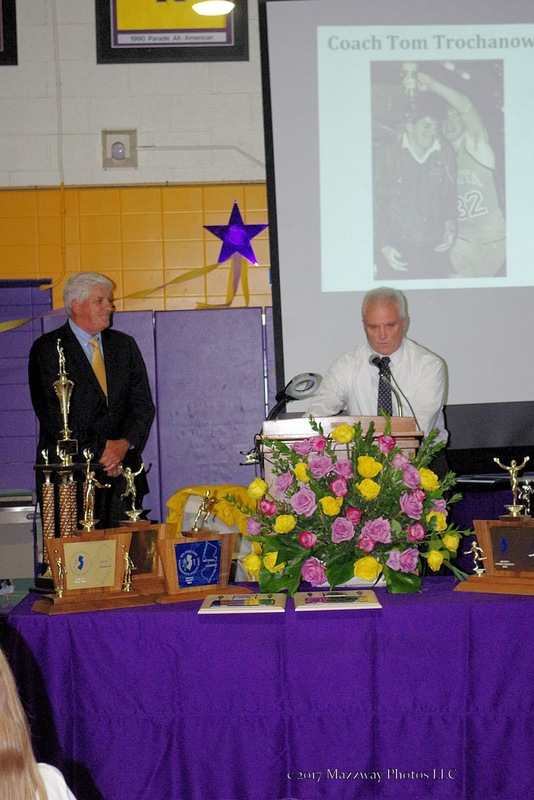 As the evening moved along the newest members were introduced by Former Coaches,or Teammate, other by Family members. 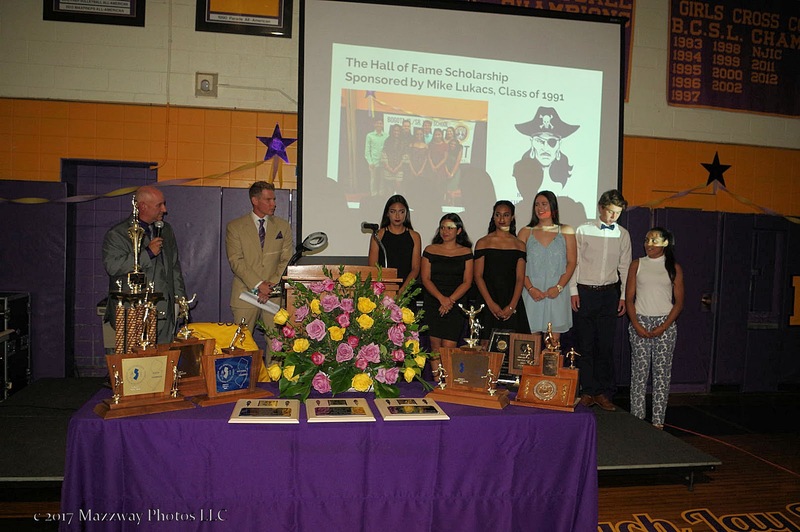 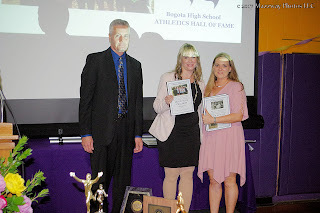 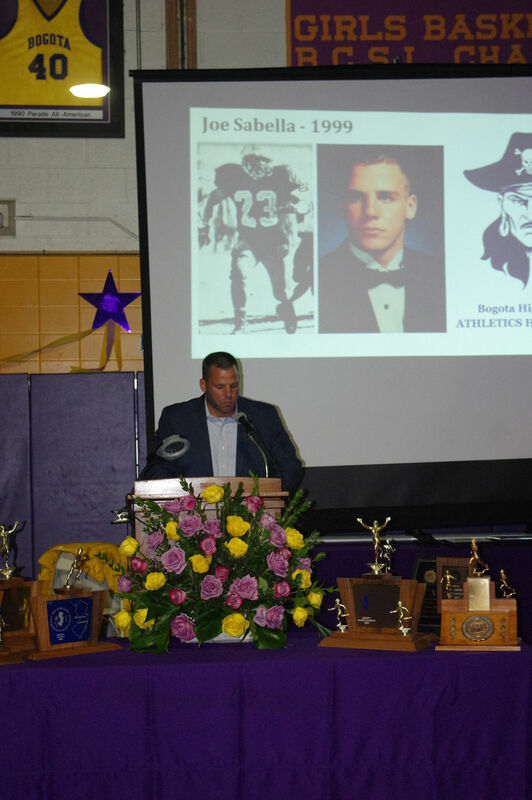 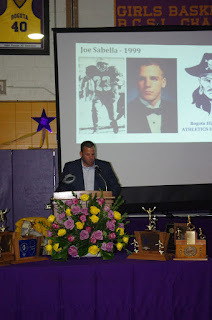 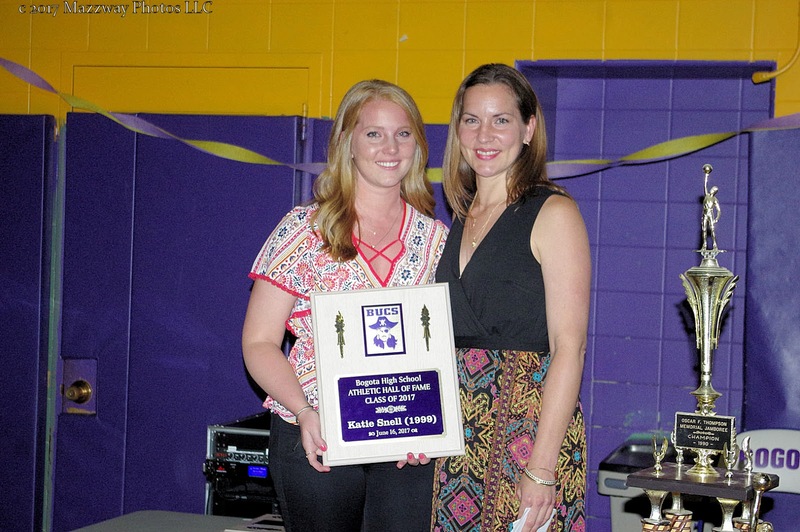 In what could have been just a retelling of old stories from years became a giant Family reunion the most seniors inductees had a chance to meet the younger one and share a common bond of being a Buccaneer. 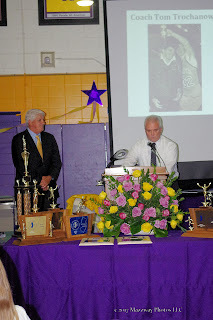 Recalling past victories which lead to remembering friendships started a life time ago. Cliques told by past coaches to motivate players before a game have become lesson learned and use to become successful in work, and family life. 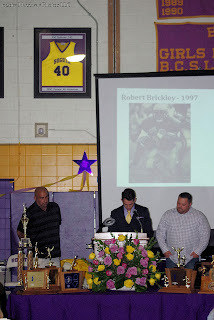 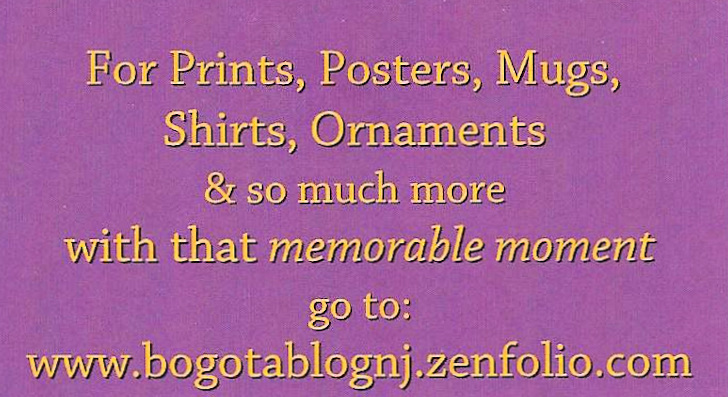 Family and Friend were remember, thanked, and loved even if some have had to move on. 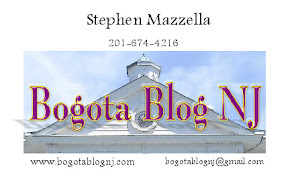 An overall theme was how all roads lead back to Bogota. This was shown by the telling of how some were not the biggest and best, but all having an inner pride of place that allowed them to do more than want other might thought, to allow them to only do their best for their Family, their Teammates, their Friends, and for the Purple and Gold streaming in their veins.